Here is my very first post in my role as a Design Team member for Mad For Markers. This fortnight's challenge is to use GREY COPICS in your colouring. 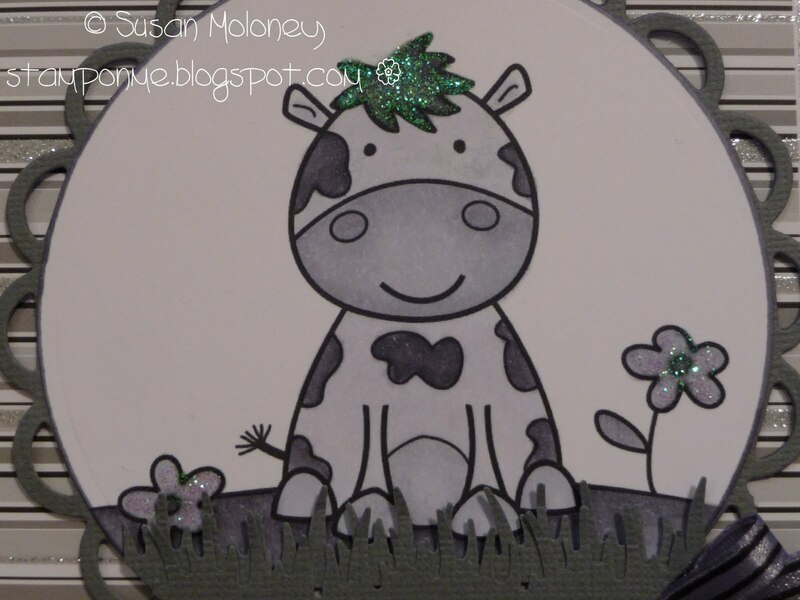 Now I have chosen to have a go at a monochrome card but the challenge is very flexible and as long as your creation contains colouring with grey copics somewhere, you can join in. Easy Peasy! So pop on over to the Mad for Markers Challenge Blog and join in the fun. The girls on the DT have lots of wonderful ideas too so don't forget to visit their blogs and leave them some love! Sammi has all your copic supplies over at the Mad for Markers store along with lots of other goodies including stamps from The Greeting Farm... my favourite! Love your moo card. Using different shades of grey works really well. Hugs Mrs A.